Ocala, Florida — Police said Dayco, located at 3100 Southeast Maricamp Road, was evacuated late Wednesday morning after the daughter of an employee pulled a handgun and threatened to shoot. 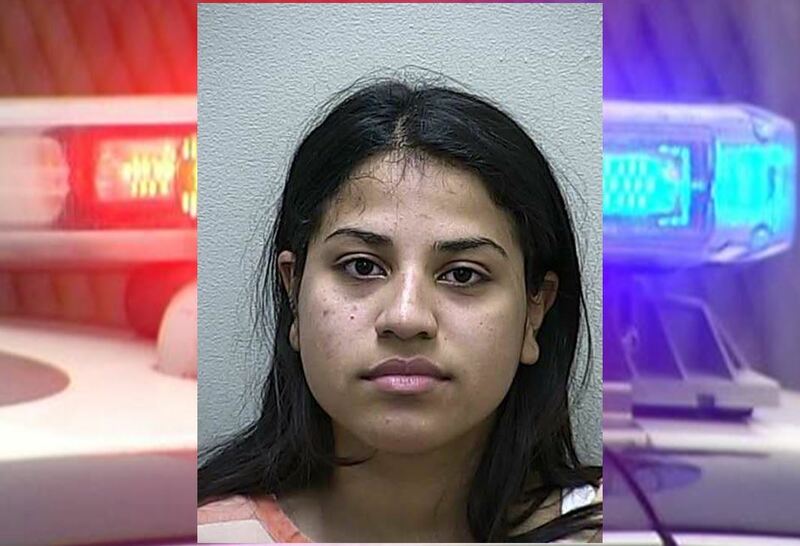 At approximately 10:45 a.m., the Ocala Police Department and the Marion County Sheriff’s Office received a 911 call in reference to Lynnette Pierluissi, 22, pulling a handgun on her mother while she was at work. The mother then ran into the Dayco building and Pierluissi chased her. That is when the mother called police. According to reports, it was at that time the daughter asked, “Why did you call the police?” The daughter then ran and hid in the bathroom. When authorities arrived, they ordered everyone out of the building. The mother told police that she believed her daughter was hiding in the women’s restroom. When officers searched the women’s restroom, they found Pierluissi hiding, but she was not armed. According to reports, officers searched the area and found a .38 caliber hiding in the ceiling tiles of the women’s restroom. During questioning, Pierluissi denied threatening her mother. She also denied being in possession of a firearm. She was arrested and charged with Aggravated Assault with a Deadly Weapon/Firearm – Domestic Violence and Tampering with Evidence. Pierluissi is being held without bond.